No nicks. No cuts. No redness. All accuracy! 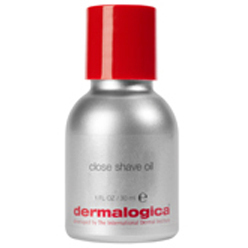 Create an instant cushion between skin and razor with this ultra-smooth shaving oil for the ultimate close shave. Clear, skin-comforting formula creates an instant comfort barrier that encourages razor glide while allowing you to see where youre shaving. Contains no artificial fragrance or color.